Sean himself seems to carry a bit of that contrast in the personal jukebox of his character. He’s wildly creative, collaborative and inventive (as I’ll make clear a few paragraphs down), with the confidence to deliver on his ideas. But through our correspondence over the last couple of weeks, and then our interview, he also revealed deep humility, even a streak of self-deprecation. Maybe that comes naturally to any person thoughtful enough to reflect on their place in the world—to be grateful for the opportunities they receive and to appreciate the importance of others. I guess I was just expecting someone more boisterous and forceful, given all that I learned about Sean while researching for this piece. 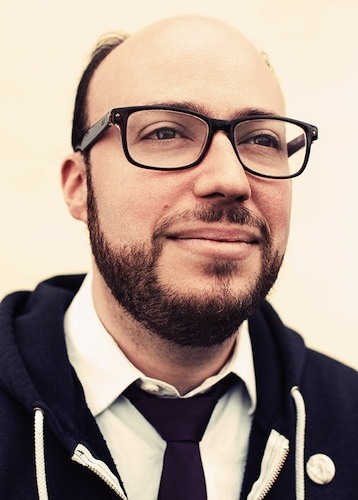 Another of his standout initiatives is Gmail Swap, which he started just after graduating from Montreal, Quebec’s McGill University in 2004 with a cultural studies degree. Back in Ottawa for the summer, he had the idea of creating an online message board where people could trade things or services for a Gmail email address, which were rare and coveted at the time. No kidding. There are lots of old news article floating around on the story, but here’s one to give you some idea of the project’s scope. It lasted through the summer, with Sean carefully monitoring the forum to ensure that no one offered anything lewd or illegal. Beyond that, users’ imaginations were pretty much the only limiting factor on what they could trade. There are plenty of other examples of Sean’s inventiveness and initiative. In high school, he was very much into drama (even studied at the Ottawa School of Speech & Drama), and he wrote, directed and appeared in Smoke and Mirrors for the 2000 Ottawa Fringe Festival. From 2008 to 2013, he and some friends ran M60: The Montreal 60-Second Film Festival. In 2010, he formed an absurdist improv duo called Venezuela, performing at the 2011 Montreal Fringe Festival. Sean’s creativity first put on its dancing shoes in Stirling, Scotland, where his parents, Arlen and Jan Michaels, had moved from Canada while his father pursued a PhD in psychology. When Sean was five and his sister Robin three, the family returned to Canada, making Ottawa their home. It was there that his creations began to evolve from basic box steps to more involved configurations. Music was a little slower to capture his imaginings. He grew up in a musical household, and played recorder through his elementary school days, and clarinet at Hopewell Avenue Public School. “But I wouldn’t say that music resonated with me very strongly as a performer,” he says. Like most students, he didn’t have much disposable income. So he started writing music reviews for The McGill Daily in the hopes of exchanging his services for free concert tickets. Then, of course, in his second-last year at McGill, he launched Said the Gramophone so he could write about music in a different way—one that leaned away from the conventional structure of the album and show reviews he’d been delivering, and towards compositions that are written “oddly and personally, from a realm of sense and feeling, intuition and dream,” as described on a recent Said the Gramophone post. Throughout the next three years living in the UK, Sean spent days working as a legal secretary, and after-hours writing as much fiction as he could. Meanwhile, Said the Gramophone continued to attract new possibilities; assignments from Pitchfork, National Post, Rolling Stone, The Believer and others came rushing in. Shortly after Sean returned to Canada in 2007, he was able to support himself entirely through writing. He secured regular work with The Guardian, for which he wrote thousands of music articles until 2014. And he continued to contribute to other publications, winning National Magazine Awards in 2010 and 2013. He also saw his short fiction writing published by the likes of Maisonneuve, The New Quarterly, The Lifted Brow, and the anthologies We Are the Friction and The Art of Trespassing. Oh, and Sean began taking half-days here and there to work on his first novel. Sean became familiar with the theremin the way one normally absorbs random bits of culture—information that somehow stakes a claim in one’s knowledge base, even without one’s knowledge. He can’t remember when he was first introduced to it, but he knew it “as this weird kind of gizmo, almost like a mad scientist sound machine,” he says. He heard it in science fiction movies and saw the Montreal band Wolf Parade play it in the early 2000s. He researched Us Conductors in Russia and New York City, where he travelled mostly on his own dollar (he got a grant to cover some of the airfare to Russia). And he did all of this without any assurance that his book would get picked up. “You spend hundreds and hundreds, or maybe thousands of hours working without knowing if anyone will ever see it,” he says. We did. In 2013, Sean’s book found two spots to call home: Penguin Random House in Canada and Tin House in the U.S. Then he and his publishers spent months editing, until the book was finally released in April 2014. 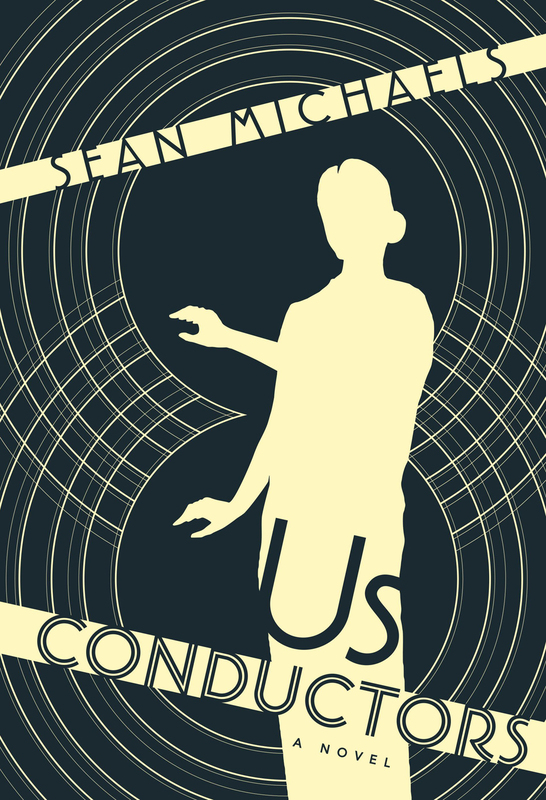 In October 2014, on Sean’s first wedding anniversary, Us Conductors was named to the Giller Prize shortlist, and on November 10 of that year, it won. In the midst of it all, Sean is doing what he’s been doing for years. He still gives talks at places like McGill, Concordia University and Queen’s University, it’s just now that now his talks are less about music journalism and more about fiction writing. He’s still a member of the jury for the Polaris Music Prize (founded by Kickass Canadian Steve Jordan). 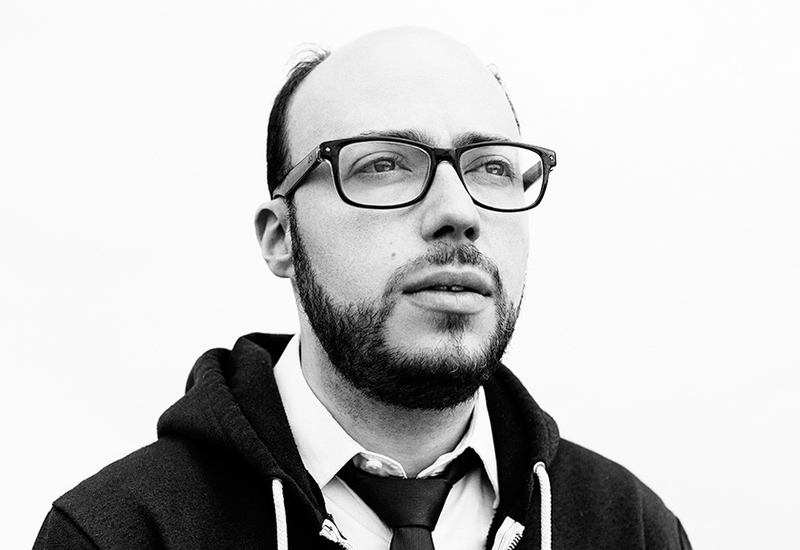 He has a new weekly music column for The Globe and Mail. Occasionally, Sean joins his Montreal friends in performing comedy improv sketches, as he’s done for years. It’s a wonderful thing to know that Sean can write his second book in confidence. He is a writer the world needs to read. Not just because of his obvious talents and his unusually musical approach to prose, but because his personal integrity is just as solid as his artistic integrity. In his Giller acceptance speech, he quoted the poet Sina Queyras: “Let’s go forth and undo harm. Let’s go forth and do.” I asked him to elaborate on that, on what he wants people—Canadians and people everywhere, all us conductors—to do. “I guess two things,” he says. “One is that people should make things and do things, should engage actively in the world and not just be passive absorbers of it. Let me hear your voice, go engage with art, try to challenge yourself and provoke yourself and provoke others. But in that speech I was also trying to call on people to do good, to go out and be forces for good change in the world, to try to effect positive change on other people, and on the cities and communities we spend time in. Already, Sean has done so much more. The train rattles along. Or so it might seem to an ordinary observer. What it is actually doing is performing a continuous medley filled with rhythmic chimes, metallic staccatos and rumbling harmonies, all singing together to deliver the perfect musical accompaniment for the fellow who rides in one of the train’s compartments—the one with the slightly mismatched fabric along its velvety red seat, remnants of a life less ordinary. For this particular fellow, music is everywhere. Listen to the rain drumming against the window, fluid fingers tapping out a beat; the wind’s falsetto; the song that alights in the mind as the sun unspools over water, a tie-dye quilt of yellow-orange-red-purple-blue-black on late summer nights. He also loves the music of human instruments. Duets that sing new ideas into existence, quartets that pluck notes and lyrics into inventions of a grander scale. And entire bands and orchestras? Such a collection of voices and tunes, players and overtures—the heart plays a prestissimo beat all its own, at the thought. As the train pitches forward, whistling and gliding, swaying and singing, this fellow is working. At the window, the ideas never stop racing by. He reaches his hand out, palm open, lets the ideas rest there. Then he plunks them into his pocket for further inspection. Suddenly he knows which composition to chase, and he must act right away. He leaves the cozy and imperfect cushioned seat, with its brilliant hues and nearly imperceptible patchwork, and scurries out of his compartment. Notebook in hand, ideas in mind, he heads for the next car, offering a nod to the conductor on his way. To conduct communication with Sean (sorry, I couldn’t resist! ), email him at sean@saidthegramophone.com, ‘Like’ his Facebook page and follow @stgramophone on Twitter. You can also check out Said the Gramophone anytime, and buy Us Conductors here. Thank you to Kickass Canadian Henry Smith for nominating Sean for this site.